On Saturdays, explore the Nordic Center by moonlight (or headlamp on snowy nights) with our guides! 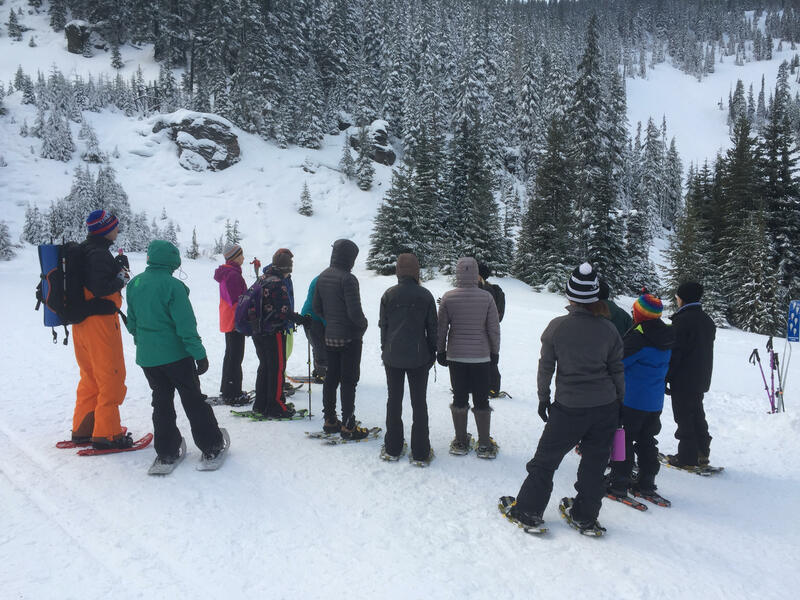 Saturdays from January 5th - February 23rd, White Pass will host Twilight Snowshoe Tours. Reservations are required to guarantee your spot or you can stop by and join in if space is available. We allow a total of 24 people to attend and always have 2 guides on hand. Includes snowshoes (feel free to bring your own or we will set you up); headlamps if needed, guided tour and light appetizers in the Nordic Cafe upon your return. While the tour is recommended for adults, youth ages 12 an up will be accepted so long as they are able to stay with the group. Select date & purchase your tour now! Were you looking to reload your ticket? Find our reload shop here!